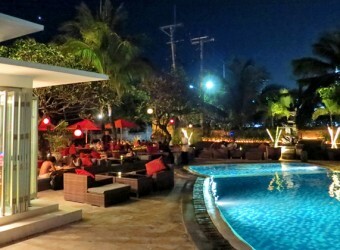 Bali Restaurant Rosso Vivo is located faced to Kuta Beach. The terrace seats along the street have sofa and red parasols, and you can enjoy resort atmosphere during daytime. At night, they offer romantic night with moody lighting. It is great cafe to enjoy your time. main food is Italian, especially, pasta and pizza are popular.